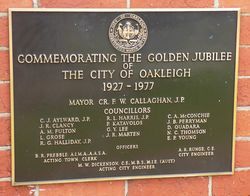 A plaque commemorates the Golden Jubilee of the City of Oakleigh. At the ceremony in 1977, a time capsule was placed beneath the plaque. The time capsule and plaques were relocated to their present site in 1998. 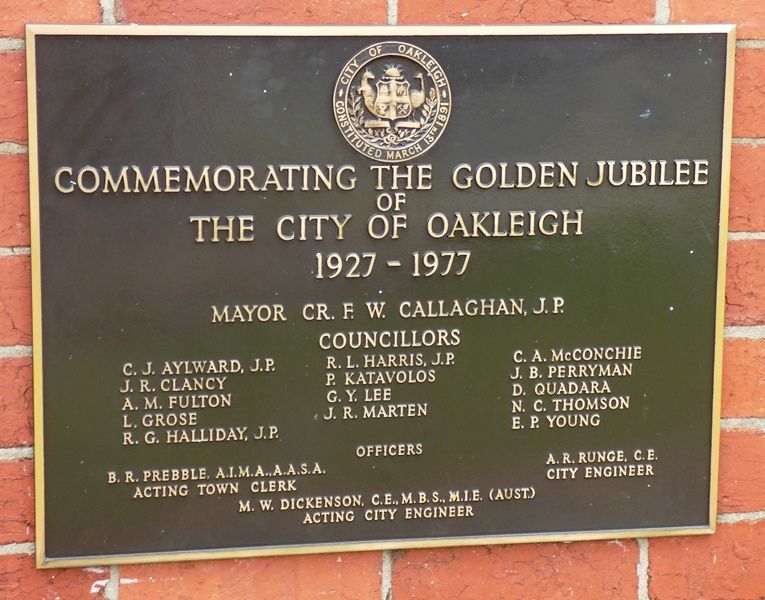 The City of Oakleigh was a local government area about 15 kilometres southeast of Melbourne, the state capital of Victoria, Australia. 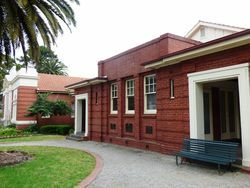 In April 1913, Oakleigh annexed part of the City of Caulfield, and went on to be declared a town on 19 February 1924 and a city on 2 August 1927. It annexed part of the Shire of Mulgrave on 15 December 1949, which became the East Ward, and on 1 October 1959, Oakleigh incorporated small areas of land from all surrounding areas. 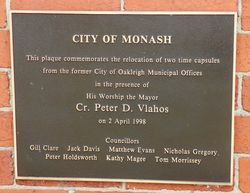 On 15 December 1994, the City of Oakleigh was abolished, and, along with the City of Waverley, was merged into the newly created City of Monash. Mayor Cr. F. W. Callaghan, J.P.
Cr. F. W. Callaghan, J.P.